Round-the-clock protection for your mission-critical systems. 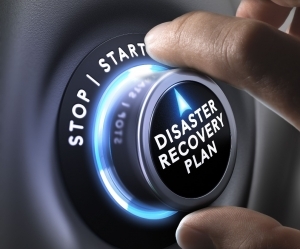 A major data loss could be catastrophic for your business, so implementing a robust and comprehensive disaster recovery plan is essential to protect your mission-critical systems and data. We take a broad view of disaster recovery and business continuity, working to ensure that every element of your critical infrastructure, applications and data is protected. This allows us to create a comprehensive disaster recovery and business continuity plans that’s tailored specifically to the needs of your organisation. We partner with and leverage best of breed solutions including Microsoft Azure & Veeam to deliver scalable and reliable business continuity as a service. What happens when there is a disaster? We know if your I.T goes down, your business is left vulnerable. That’s why we help you plan for the worst – ensuring your assets are protected, while helping to reduce downtime and speed recovery. They will help you to safeguard your assets on premises or in the cloud – focusing on minimising the impact of disaster on your business. We’ll help you create a ready-to-run recovery plan, enabling you to get back on your feet at the earliest opportunity. We’ll help you to get critical elements off-site and secure, ensuring they’re able to survive the worst.